This guide will show you what steps are needed to get your Cisco 5508 Wireless LAN Controller to the latest and greatest state. 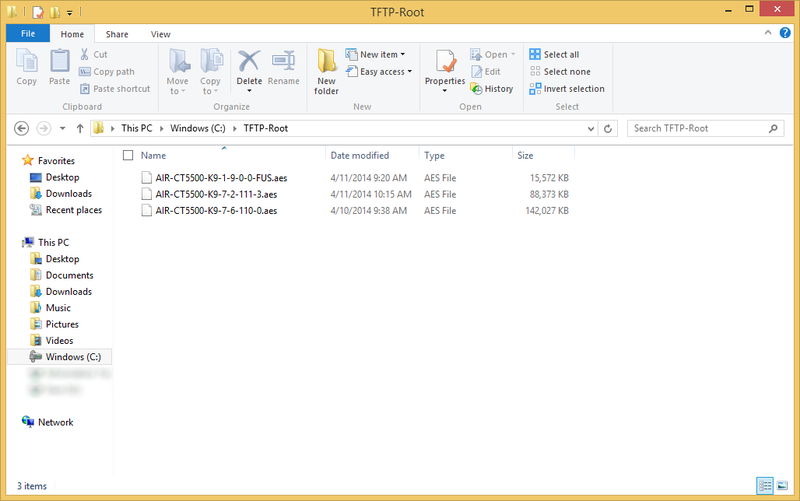 Ensure your TFTP server instance is running and pointed to a directory of your choice. In this tutorial, I will be using C:\TFTP-Root as my directory for hosting firmware. 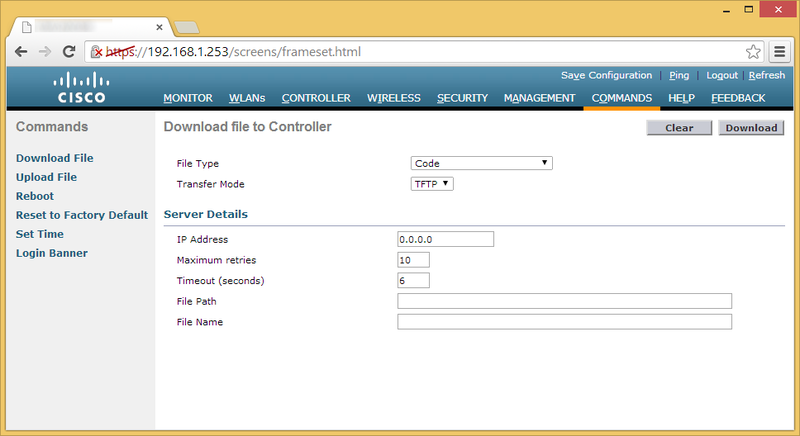 Ensure you have an inbound firewall created to allow incoming connections to your machine on UDP port 69 if you will be using the TFTP option. 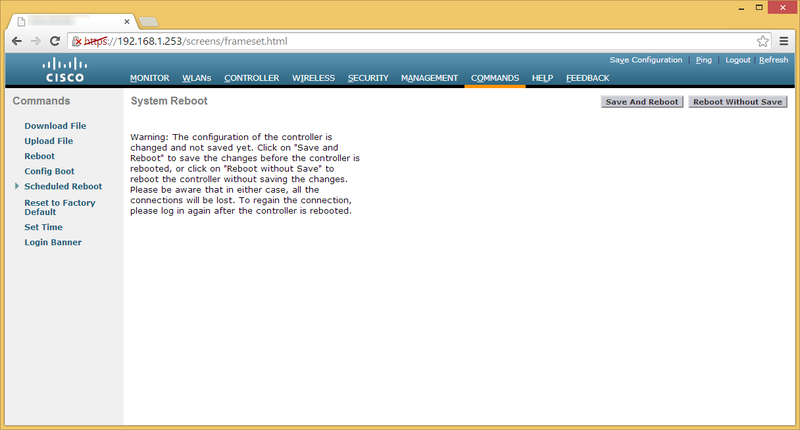 Once the firmware has finished updating, click on the Click Here link to reboot the WLC. On the System Reboot page, hit the Save and Reboot button. Click OK on the Configuration will be saved and the controller will be rebooted prompt. 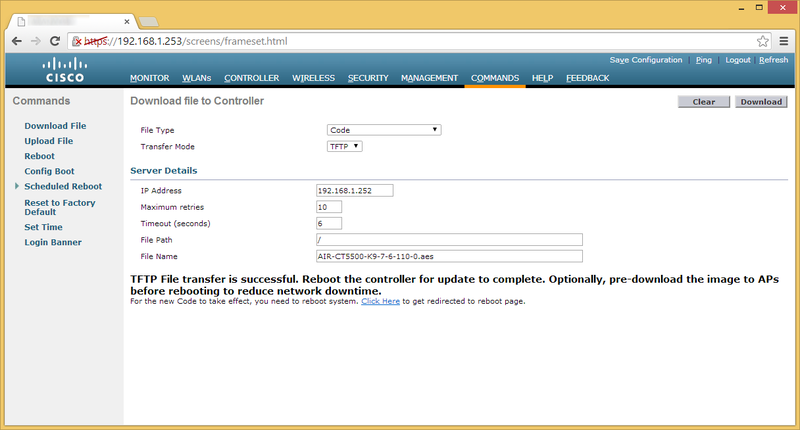 Once the wireless LAN controller reboots, you should now be on the firmware version you provided. You can verify on the Monitor page. At this point, you can can be done with your upgrade, however, it is highly recommended you also upgrade to the latest (or compatibile), version of the Field Upgrade Software (FUS) in additional to the WLC firmware (provided Cisco has a new version). The same steps to upgrade the FUS are of steps 6-10. Additional note, the FUS takes a considerable amount of time to upgrade the WLC. It is normal for the FUS to take 30-50 minutes to upgrade after applying the firmware. If you are not busy or intersted, you can watch the FUS upgrade various components if you console into the WLC during boot to keep an eye on things. If you wish to push the firmware manually via TFTP or FTP, you can use the following commands below (order doesn’t matter as long as transfer download start is entered last). The process is the same for uploading the firmware to the WLC, you only need to swap out the filename for either the FUS firmware or WLC firmware. 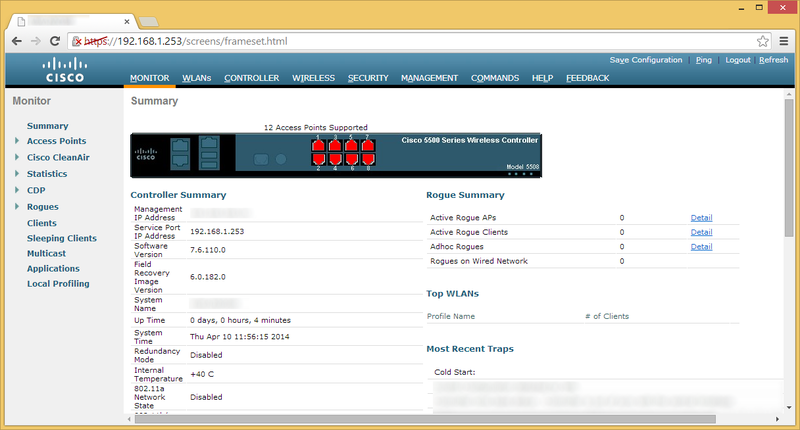 This entry was posted in Networking and tagged 5508, Cisco, Firmware, software, Upgrade, wireless lan controller, WLC on April 16, 2014 by Jack.